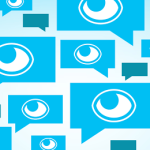 Video ad tech company Unruly has introduced emotional targeting to its viewable outstream format, Unruly In-Article™. Advertisers in the UK can now target the people most likely to engage emotionally with specific video creatives on the immersive outstream format, which places video ads within premium editorial content and only begins to play when the video is viewable, allowing consumers to choose whether to watch the content or skip. Since launch, Unruly’s In-Article format has seen significant adoption and is now live across a number of premium UK publishers, including The Sun, UNILAD and The Sunday Times Driving. UK advertisers using Unruly In-Article will now benefit from the significant uplifts in campaign performance that Unruly has seen when using the company’s emotional targeting capability,Unruly Custom Audiences™. These include an average 15% increase in completion rates and increases of up to 155% in brand favorability and 85% in purchase intent. In fact, according to recent research from Nielsen, ads with above average emotional resonance deliver a 23% uplift in sales. Unruly Custom Audiences predicts the viewers most likely to have an emotional connection to a particular video ad using data from the video ad tech company’s predictive algorithm, Unruly ShareRank™ – created using 2 trillion tracked views and over 450,000 consumer data points. As well as being able to able to target viewers most likely to engage with their ad content, Unruly Custom Audiences also allows marketers to optimize their video player functionality to ensure the campaign maximizes brand recall and earned media. Sarah Wood, co-founder and co-CEO at Unruly, said: “Data analysis of 1,300 ads revealed that in 2015, warmth and happiness were the most effective drivers of emotional engagement. A month into 2016, and the data shows brands are already sparking inspiration and knowledge in viewers. With an adrenaline-packed year of sporting events and elections ahead, we predict that exhilaration and pride will dominate this year’s ads, emotions which resonate globally. Emotional targeting can now be applied to a number of Unruly’s consumer-friendly formats, including its skippable pre-roll format Unruly In-Stream™, click-to-play Unruly In-Page™ format, or through its blended multi-format CPCV solution Unruly Complete. In-Article is also available to other premium publishers via Unruly’s supply side platform, UnrulyX™. Unruly Custom Audiences for Unruly In-Article is currently only available in the UK, with announcements on its availability in other territories coming soon. If you are a publisher and would like to find out more about how you can monetise your website with Unruly’s In-Article format, click here. UNRULY, UNRULY CUSTOM AUDIENCES, UNRULY SHARERANK, UNRULYX, UNRULY IN-STREAM, UNRULY IN-PAGE, UNRULY IN-ARTICLE and logos and associated marks are trademarks of Unruly Group. Other marks are owned by their respective owners. 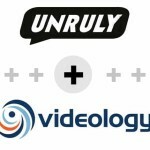 Unruly is the ad tech company that gets videos watched, tracked and shared across the Open Web. Positioned at the intersect of video, social, native & mobile, Unruly uses emotional audience data and user-friendly video formats to massively increase viewer engagement, brand performance & publisher revenues. Unruly employs 200+ people across 15 offices, with regional HQs in London, New York and Singapore. Its super power is emotional ad tech. Its secret weapon is passionate people on a mission to #DeliverWow. Unruly was acquired by News Corp (NASDAQ: NWS, NWSA; ASX: NWS, NWSLV) in September 2015.